Do I have induction ready cookware? While you may not always get what you paid for, you will always get what you did not pay for. Do I really need an induction cooktop? 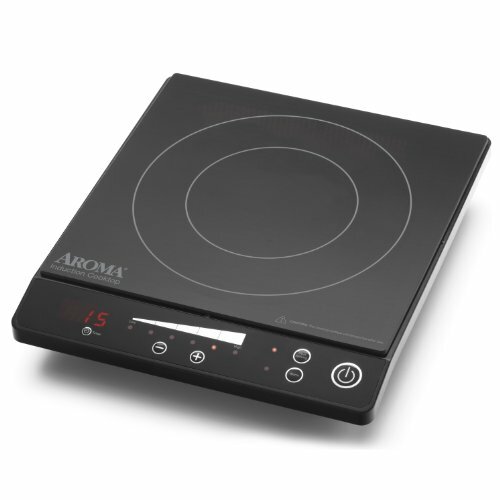 What is the best induction cooktop for me? What type of cooktop will best suit my needs and budget? The investment into a new induction cooktop can be big and a little daunting. We know that feeling all too well! We review the whole range from the best portable cooktops to the best 36-inch induction cooktops. Want to know if this will be the right investment? Read on and we will help you make your mind up. Induction cooktops have recently come into favor as many of the features that they offer are superior and more economical than other traditional cooking methods. Modern glass or ceramic top is very easy to keep clean and has no parts that need to be removed for cleaning. 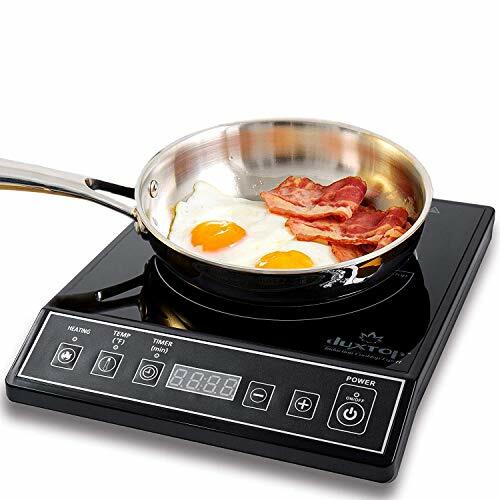 Induction cooktops are way faster and more energy efficient then traditional electricity or gas cookers. Allows instant control over heat just like gas stoves. This is a great option with 15 different power settings for a more versatile cooking experience. This single cooktop has 7 heat settings so might be a bit limiting on what can be done with this. The Max Burton can go up to 1800 Watts making this a very powerful cooking accessory in your kitchen. The induction technology is inherently safer then traditional cook tops. In fact this is such a big point there is a section below dedicated to this. A lot of standard cookware can already be used on Induction tops. Because of the way that they work they can just as easily be embedded in your kitchen or be portable for smaller kitchens or students. While you may not always get what you paid for, you will always get what you did not pay for. It is important to consider carefully what you are looking to buy. 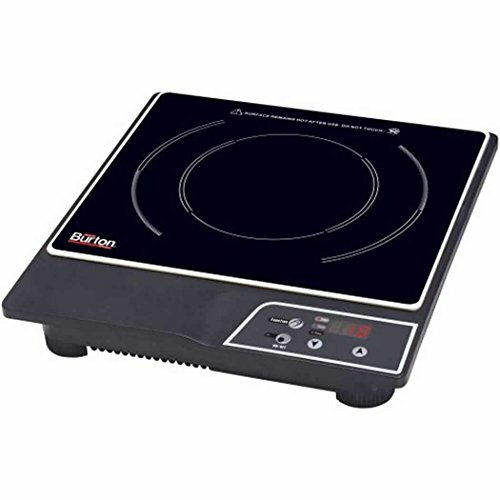 Always get the best that you can afford, Good Induction cooktops will offer a whole more then the less expensive models. Be aware the the single cooker can be limiting in terms of what you are able to cook. Single plates are great for students and the like but not so good for families unless they are kept as an emergency extra plate should the need arise. One of the biggest things that they have going for them is that they do not work in the conventional way. The heat is actually produced in the cooking vessel and not the actual cooktop. 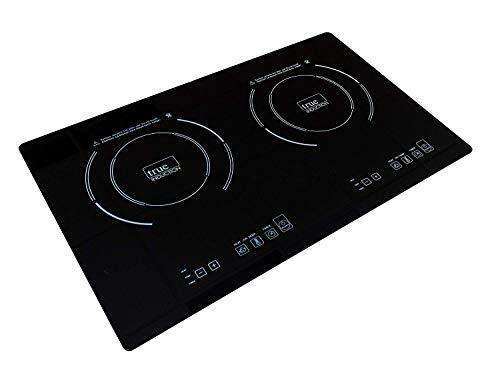 The surface of the cooktop is usually made from glass or ceramic making it a poor conductor of heat so that what heat is generated on the surface from the cooking vessel does not spread very easily and so greatly reduces the risk of burning. This makes this type of cooktop very child friendly (and adult friendly for that matter) of course your pots and pans are still going to get very hot and so care should be taken with these. Because it is the (magnetic ) cooking vessel that heats up and not the surface of the cooktop, if you leave one on you can put your hand on the serface and it will be cool to the touch. There are risks associated with traditional glass cooktops in which after the cooking vessel has been removed you are no longer able to see that it is hot and people can get burnt. Many of the units are actually able to detect the size of the object on the top and if it is not the size of a small pot at least then it will not switch on making it safe if small metal objects come into contact with the surface. Unlike microwaves all of the energy actually goes into the pot and not the surrounding areas so nothing else will heat up. Cooking with gas poses its own risks some very small and others not so. While it is unlikely that you are going to have a gas explosion in your house, cooking with gas needs to be done in a ventilated room as the act of combustion releases carbon monoxide and carbon dioxide into the cooking areas. If you are looking to buy one of the bigger 36 inch or 30 inch stove tops, you will notice that they don’t come cheap really. With this in mind we have put together some points that you should consider before you go ahead with your purchase. It is also worth baring in mind that you will be changing the way that you cook food. The basic principle is the same (heating food until it is cooked) but then there are other things that you will need to look at such as speed of cooking, the sensitivity of the stove and the fact that it is the cooking vessel that gets hot and not the stove . As with any stove that you would get fitted it is advisable to seek professional help to make sure that you have met all the safety requirements in your kitchen. Although much safer in many aspects to other types of cooktops they still will need to be treated with respect. We think that one of the most important things that you should be making sure you have taken into account when you are thinking about buying one of these is the fact that not all pots and pans will work on them. Cookware that is essentially magnetic like stainless steel and cast iron will work while others like aluminum will not. If you are buying one of the smaller ones and it is an addition to what you have in the kitchen already then this is something that will not be such an issue. if you are thinking of replacing your cooker then you should take stock of what you have in the kitchen and see what will work and what won’t. You can easily do this by putting a magnet to the bottom of the pot or pan, if it sticks then you are good to go on that item. The items that this does not happen to are the ones that you will be probably looking to remove as they will be no use. If your favorite pots or pans are in that pile then be prepared to have to buy new ones. We at TKJ thought that it might be a good idea to give you a few pointers as to what to look for. One of the areas that many of the induction cooktops excel in is the the fact that they have presets that allow you to easily cook your food at certain settings. This is perfect if you are someone that like to cook with out too much fuss. We think that most of us will fall into that category at some some point. What you have to be careful with is that some of the lower end models have a reduced capacity. You lose versatility in the way that you are cooking on this. Just aware of what you are getting before you make a final choice. You will see that in most of the products this is one of the features that has been pointed out in most of the above products. When you are looking at the different stove tops we would really advise that you take a good look at the layout. Many of the induction cookers come with touch sensitive settings. Make sure that you can see where they are placed and that this will be practical for you. On the bigger ones (36,30 and 2plate cookers ) have a look at the layout of the plates, will this suite your cooking style. If you are someone that does a lot of cooking with bigger pots, make sure that there is a hotplate that will accommodate this, all of this efficiency is wasted if you cannot properly heat up the big pots when needed. You might just be better off with a big gas plate. This is another area that you should keep an eye out for. Have a look on line for the items that you are wanting to buy. Customer service can be a deal breaker if the company does not have a great customer service. This is why many people will buy off Amazon as their customer service is really second to none. Again the better the model you are buying the more likely you are going to receive the appropriate customer service. 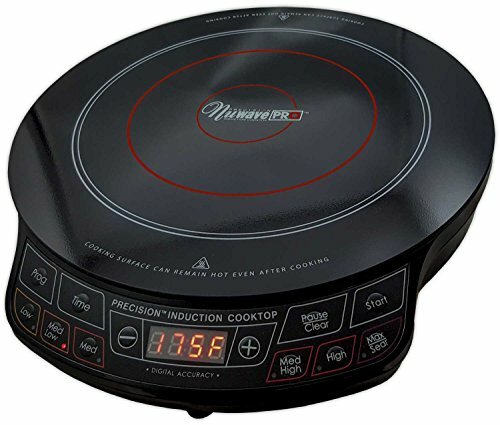 If you are looking at one of the top of the range induction cookers then I guess that this is something that you should at least think about. There are many reasons why you should be buying one, they are known to be more efficient energy wise and are as responsive as gas, they are modern and look good in any kitchen. You will over time make you money back on the savings from having a reduced energy bill. You should also consider your style of cooking, there are those that love cooking with gas and of course while induction cookers are very fast, they don’t have the same “feel” as gas does. If you have an electric cooktop then the change will be a good one for you. As with any new technology there are always going to be things that will suite you and those that will not. You have to figure out what you can live with and what you can’t. Here are some of the bigger pros and cons of using an induction cooktop. Glass surface does not conduct heat so helps keep the heat in the cooking vessel. Instant heat adjustment superior control over heat. Glass or ceramic surface easy to clean. Heating is not in the conventional way so surfaces don’t get hot like normal cooktops. Cast iron cookware and stainless steel cookware can be relatively inexpensive. Because they don’t heat up they are more versatile and easier to have as portable units. May need to replace some of your cookware. Not all cooktops are created equal so care must be taken when choosing one. You can only use cookware made of magnetic material. Copper, glass, pyrex or aluminium will not work (these can be quite expensive). Some of the induction ready pots or pans may make a noise when being used on an induction cooktop. It has a digital control panel making using this very easy see what you are doing as well as keeping it clean (no little nooks that dirt will sit in). Like all of the induction cooktops, the smooth glass is easy to keep clean. Has a built in countdown timer that will go in the minute interval up to 170 mins to help you avoid overcooking or burning unsupervised food? There is nothing much to say that is bad about this little piece of machinery, other than being aware that this is only a single cooker and so you will be limited in what you can cook on this in terms of making a meal. Single plates are great for students and the like but not so good for families unless they are kept as an emergency extra plate should the need arise. The actual heating unit is only 7-8 inches and so bigger pots and pans will struggle to heat evenly. Unlike the other bigger stovetops where you have a choice of element sizes, this has only one size. You should take this into consideration when buying this. There is a timer that will go up to 180mins to help you avoid overcooking or burning unsupervised pots and pans cooking. Will not “start cooking” if there is no pot/pan on the top. As will all of these types of cooktops, the surface do not get super hot so it is easier to clean spillages. While faster than conventional cooktops, this is not as fast as other induction cooktops when it comes to boiling water. The cooling fan can be heard when cooking which might annoy some people. 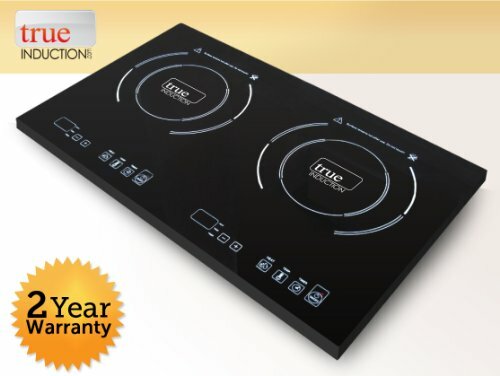 This is more economical then other traditional stovetops and for its price really is a good bargain. There are 10 different power settings for this unit giving it a fair level of versatility when cooking. Has a countdown timer to help you avoid over cooking or burning your food. These single units are not really designed for heavy or commercial usage. The actual heating unit is only 7-8 inches and so bigger pots and pans will struggle to heat evenly. Unlike the other bigger stovetops where you have a choice of element sizes, this has only one size. You should take this into consideration when buying this. Having 10 setting will give you some versatility but it has been noted that at lower temperatures this can a little bit inaccurate. This is a single plate and is perfect if you need something that is portable.It is also one of the more popular items on Amazon in this range. It is easy to use and safe as it does not heat up (it is the pot that heats up). It is powerful enough to boil water in 90 secs and will use up to 70% less energy than other hotplates. Will not power up and heat if there is no pot on the top. It has been reported to have really good temperature control with 94 temperature settings (going up in 5 degrees temperature increments). There is not really a lot wrong with this single portable cooktop unit. There are a number of things that we like about this cooktop, you can have it on top of the counter or you can have it inset, the choice is yours. The surface is Schott-Ceran ceramic glass which is pretty indestructible making for a longer lifetime for the cooktop. The surface is also super smooth making it very easy to clean. Comes with True Inductions own EZ touch controls as well as loads of safety features for both adults and children. Easy to use controls (EZ Touch Controls). 1800 Watts of power allows you to boil water in less then a minute. True induction has the ability to share the power between elements meaning that you can have all of the power on one or half of the power when using both, this is a feature that is unique to them. Has a smooth glass-ceramic cooktop that makes for easy cleaning once cool. Temperature control from 150F to 450F. Perfect for larger luxury motor homes. You should be aware that because of the way it shares power if you need to use a lot of heat on one plate you will have to reduce the heat on the other. There are a number of things that you should be thinking about when you considering this question. Of course if you are looking for one of the smaller portable ones then the answer to this is actually fairly simple. If you have the space and pots and pans that will work on this cooktop then go for it and buy one! If on the other hand you are looking at one of the bigger cooktops then you should consider these points. Are you cooking enough to warrant this investment – If you are passionate about cooking or are cooking for a big family and spend a significant amount of time in the kitchen then you will over time get back on your investment. While you have to change lots of other things in the kitchen to accommodate this purchase – making changes to the kitchen is going to add extra expense. If you need to buy new cookware then this will have an impact on the final figure. What will happen if you need to change the surfaces to accommodate this(you might have to cut a bigger area from the last stove or replace and re-cut for the new stove. Another area that we have touched on before is the the style of your cooking and what you have been using before. You should be aware that induction cooktops will bring its own style of cooking, are you happy to change your style? These are just a few of the things that you might want to consider, I think that the important thing is that you are thinking and that you are making sure that this is something that you will need. If you need one then You should be looking to make sure that you are getting the best one that you can afford.